Spring is the perfect time to get yourself a new plant. The warmer weather creates a great environment for novices to test their green thumb and the extra bit of light helps promote a plant's health. Aside from that, plants help purify the air, regulate humidity, decrease fatigue, and can even help you better focus. Even if your thumb is more black than green, it's easy to keep a plant alive and thriving as long as you follow a few tried-and-true steps. Before you even step foot in the plant department, do a run-through of your pad to identify the optimal spaces for plants to grow. Slightly sunlit corner? Bright kitchen? It's crucial to know what your limitations are when you're shopping, so you don't end up taking home some unlucky plant that was doomed before you even put it down. Stepping foot into a greenhouse or nursery can be a little overwhelming, so it's good to educate yourself a bit on how easy certain plants are to maintain compared to others. For instance, keep an eye out for things like spider plants, Peruvian grape ivy, snake plants, cast-iron plants, succulents and yucca plants, all of which make great house plants. Each one obviously has its own optimal environment, though you should be able to sort through which will work at your place as long as you followed step one. Odds are the plant you pick out is going to go home with you in a plastic pot, which you'll want to liberate it from as soon as possible. Transfer it to an appropriately sized terra cotta or (unglazed) clay pot, preferably with drainage holes. 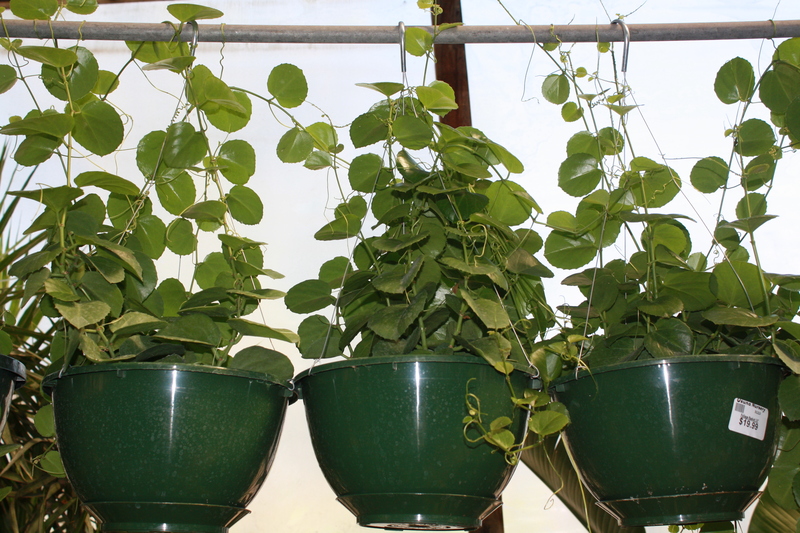 The porous material is better than plastic because it suits plants' physiological needs. These pots also absorb and lose moisture through their walls which helps prevent the most dastardly of plant deaths: overwatering. If for some reason the pot you have is hole-less, fill the bottom with pebbles, which will act as a natural drain and prevent root rot. Also, every plant prefers a certain type of soil, so read up on which kind yours will thrive in. For instance, succulents are better suited for soil that's been mixed with a good deal of small stones. It's also said that mixing soil with coffee grounds and powdered eggshells will enrich it. Plants are needy. Of course, some are needier than others, but the most important thing to know is how frequently to hydrate them. Depending on the plant you get and where you put it, it'll probably need watering a couple times a week. When you water, make sure that you pour thoroughly, so that the water drains out of the bottom. Not enough water could lead to root damage and disease. If you're curious how the plant's doing, dip your finger knuckle-deep into the soil, and if it's dry you should add water (this doesn't apply to most succulents, though, since they require very minimal water). Also pay attention to the leaves—they can tell you a lot about what's going on under the surface. Wilting of any kind may suggest a watering issue (either too much or too little). If you're a total flake or out of town all the time you should figure out a way to make sure they don't get too parched, there's a handy paper-towel-in-a-glass-of-water trick. If you just can’t seem to hold it together, there's always good ol' technology to keep you from going on a serial plant-murder spree. If the problem is simply staying on a watering regimen, an easy fix is to set up a recurring alarm or calendar reminder on your phone to keep you on your toes. If you're having trouble gauging how thirsty it is with the knuckle trick, these $6 digital water sensors should lend a hand. If your place isn't providing the natural light required to sustain the plant, there are all manner of affordable LED bulbs you can set up encourage hot, hot photosynthesis in even the darkest corners. There are also a growing number of smarthome products dedicated to keeping houseplants alive, including the ingenious Flower Power system—a Bluetooth-enabled sensor that constantly monitors the soil and syncs with your devices to alert you of any and all health aspects. Soon, the company that makes it will be releasing an even more advanced system, complete with mini irrigation systems and pots that water themselves . Now, go forth and grow! Joe McGauley is a senior editor at Supercompressor and has committed plant manslaughter on a few occasions.